Kimberly Zirkle is a member of Moore & Van Allen’s Investment Team where she focuses her practice on corporate finance and acquisition transactions. She primarily represents SBICs, BDCs, lenders and institutional investors in the structuring, negotiation, and documentation of debt transactions and related equity co-investments. Kimberly has experience involving a wide variety of debt structures including: unitranche, first lien, split lien, second lien, and mezzanine (secured or unsecured). Kimberly also regularly represents private equity funds in leveraged buy-out transactions and represents portfolio companies in debt financings. 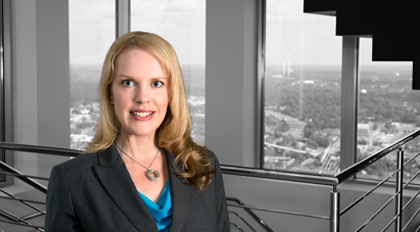 She has provided counsel to clients for transactions involving technology, service and manufacturing companies as well as for companies operating in regulated industries such as government contracting, telecommunications and health care. President of the Board of Psychology for All, Inc.
Zirkle "For the public good"